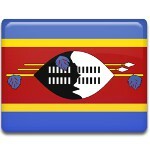 On July 22, the Swazi celebrate the birthday of King Sobhuza II, the first king of independent Swaziland. The birth anniversary of the late monarch is one of the public holidays in the Kingdom of Swaziland. Sobhuza was born on July 22, 1899 to King Ngwane V. His father died four months later, and Sobhuza ascended to the throne. His grandmother, Labotsibeni Mdluli, served as a regent until 1921. The direct reign of King Sobhuza II lasted for 61 years. During this period, he presided over the independence of Swaziland from the United Kingdom. Initially Swaziland was a constitutional monarchy, but in 1972 Sobhuza dissolved the parliament and repealed the constitution, becoming an absolute monarch. In 1981, Sobhuza celebrated Diamond Jubilee. At this time, he had significantly strengthened the role of the monarch. The economy of Swaziland prospered under his rule, he also managed social change for his country. Sobhuza died on August 21, 1982. He ruled Swaziland for 82 years and 254 days, which makes him the longest-reigning monarch of all time. Sobhuza was deeply respected by his people, and his birthday is still celebrated as a public holiday, as well as the birthday of the reigning monarch, King Mswati III.